Neha Acharya-Patel will embark on a year-long journey to experience underwater science around the world. 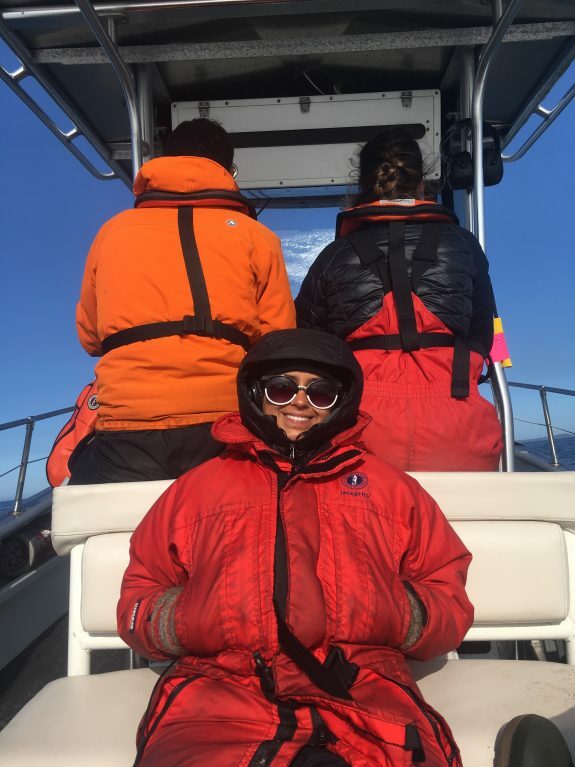 We sat down with Hakai diver Neha Acharya-Patel to chat about being awarded one of three global Rolex Scholarships, her time with the Hakai Institute, and how she got into scuba diving. Neha was always interested in diving, but her first foray didn’t quite match what she’d seen on TV. “I always really wanted to learn how to dive when I was growing up watching The Blue Planet and National Geographic. My first dive was in a pond in Ontario filled with refrigerators and toilets. Not exactly ideal. I didn’t get a chance to dive again until I moved to Vancouver, and I was hooked. 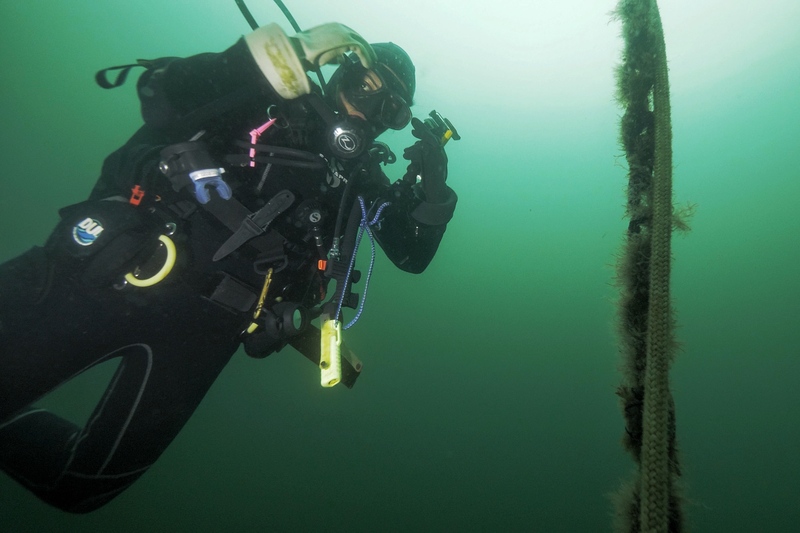 After her undergraduate degree at the University of British Columbia and stints working as a diver on Vancouver Island and overseas in Malawi, Neha joined the Hakai Institute. There were some unique elements to working at the Hakai Institute, and that led to some memorable experiences. “I really enjoyed the fact that, at Hakai, there’s so much cross training and there’s so much opportunity to move between disciplines. Also, I love all the different people. I’ve made so many connections that I know I’ll have for the rest of my life. And they’ve been really awesome helping me develop both in terms of my knowledge base and socially, as well. Then there are the countless wildlife experiences from diving with huge male sea lions that come to check you out during herring surveys, to diving in kelp forests that maybe no one has ever dove in before. Just the fact that you’re diving every day in this beautiful place that most people in the world don’t get a chance to go to. That in itself is just incredible. It was a few years in the making, but in 2019, Neha was chosen as the North American Rolex Scholar from the Our World—Underwater Scholarship Society. “In 2015, I did a course at Bamfield and the North American Rolex scholar for that year ended up doing a week there. So I met her and I started hearing about this opportunity. Since then it has always been on my mind and I’ve always wanted to apply for it. But when I started working at Hakai, I didn’t want to just work there for one year, so I worked for two years before applying. I just decided to try and then it worked out. She’s not quite sure what will happen during her year-long scholarship, but she knows it will be thrilling. “I think one of the great things about this scholarship is that they want to make sure that you’re open to things changing on the fly. Right now I’m working with my coordinator to make a loose plan for the year. A big part of the scholarship is making connections so, maybe if you’re somewhere doing a certain experience and they offer you another experience somewhere, you have the ability to say yes to that. So it’s a pretty open thing. What comes after the scholarship is a question for the future. We wish Neha all the best with good visibility and calm seas as she embarks on this journey. * Interview was edited for brevity and clarity.